Date : Paris, c. 1250. Size : 11.6 x 7.5 inches. / 29.5 x 19.1 cm. 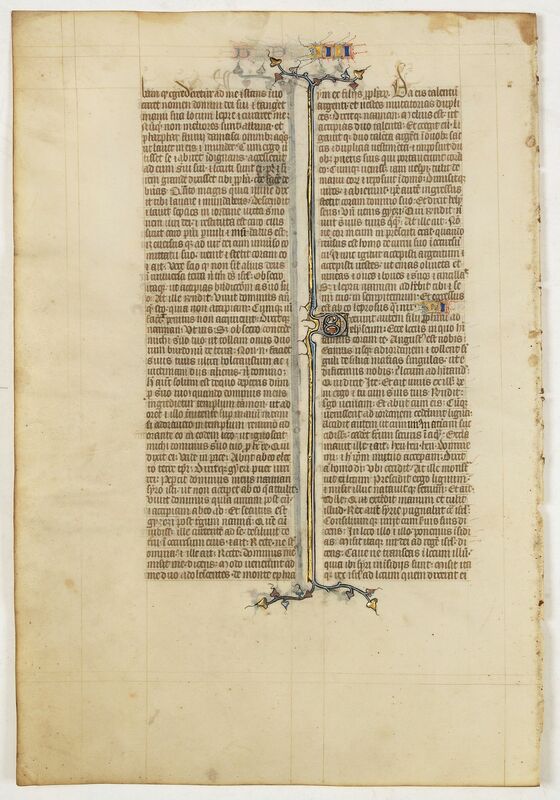 Description :Vellum leaf from an early French Bible with decoration typical of the scriptoria of northern France in the second half of the 13th century. There are large initials in red, blue, white and burnished gold and a filler. Condition : Vellum very slightly toned. Good full margins. Size of leaf: 295 x 191mm.